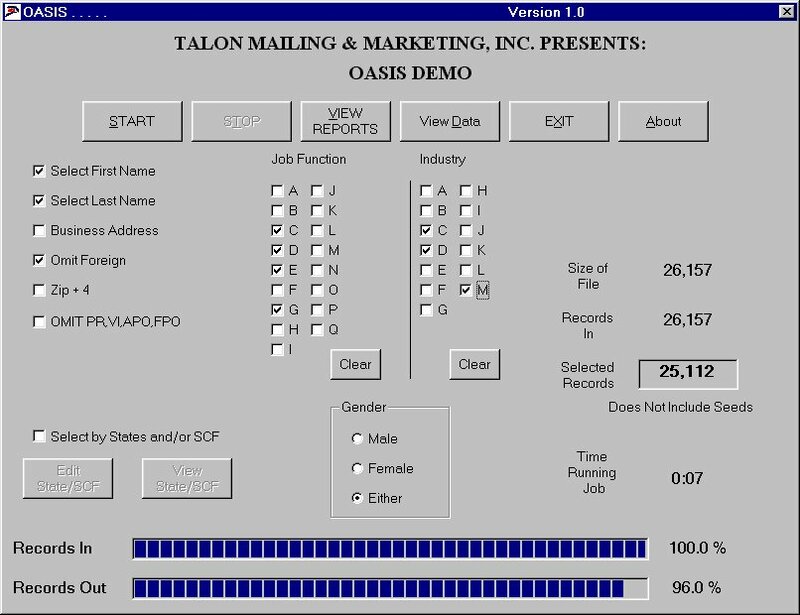 Welcome to the Talon Mailing & Marketing February 2015 Newsletter. Hurry! Act now! Only a few items left! Contributor Neil Patel explains how these words and others tap into deep psychological motivations and drive conversions. Sometimes, the best marketing moves are those rooted deep within human psychology. In fact, the greatest marketers are those who have the most in-depth knowledge of how the brain works. One of the key features of the human brain involves urgency. Urgency is one of the most powerful aspects of human psychology. According to behavioral psychologists, urgent situations cause us to suspend deliberate thought and to act quickly. Urgency causes people to act quickly. Many of the problems that affect conversions are issues of cognitive friction – people think too hard, wait too long, or simply don’t respond to our calls-to-action. Raising the urgency level cuts through a lot of this delay to create a significant improvement to conversion rates. How Do You Create Urgency? 1. Scarcity - Scarcity is one of the most powerful sources of urgent behavior. The scarcity bias states that when a person thinks that something is running out, they want it more. Scarcity can be created by the producer. If you create a product or service, you can intentionally limit the amount that you produce or deliver in order to raise demand. It’s as simple as that. If you say that you only have “four more left,” the desire for that resource will increase due to the fact that it is running out. 2. A Clock, Timer Or Countdown - In our modern industrialized world, the clock is the symbol of time. More specifically, it is the symbol of passing time. If you remind users that time is passing — that the clock is ticking – it raises the urgency level and compels action. We as marketers can use it to raise anxiety and urgency, thus compelling users to respond to our call-to-action. 3. Difficulty - One counterintuitive way to increase urgency is to make it difficult for people to act. The theory of effort justification states that people value something greater if they worked for it harder. Thus, if you had to work extremely hard to earn $50, you would value that $50 more than if someone simply walked up and handed you the money. The same is true in the conversion funnel. If people have to work hard to take action, then their urgency level automatically goes up in order to overcome the difficulty and accomplish the objective. 4. Loss Aversion/Catastrophe - The National Geographic show “Doomsday Preppers” is a fascinating study in human psychology. It shows us people who are acting with incredible urgency. What is causing such urgency? They have a belief that their lives will be in danger due to some huge calamity or catastrophic situation. They act on this belief, and they act quickly. If your marketing pitch makes it seem as if the user is going to lose something by not responding, then you are triggering the loss aversion response. If you can warn them of the “catastrophic” results of not acting now, then they will be more likely to experience urgency and act promptly. 5. Competition - People love a good competition. Competitive situations are prime opportunities to unleash the urgency instinct and get people to act. Online games or sharing contests easily provoke a sense of urgency in the participants. Now, Fast, Quick, Hurry, Rapidly, Close, Approaching, Never, Seconds, Again, Over, Instant. Words like these cause the mind to think urgently about time, thus improving a person’s likelihood of converting. 7. Appeal To The Responsiveness Instinct - “Act now!” It’s one of the most often-repeated phrases in marketing literature. In my opinion, it’s overused. It does, however, point to a very important urgency-inducing reality: If you tell people, “You’re a prompt and responsive person,” they will think “Yes. I am.” This subtle push towards urgency causes them to act quicker than they normally would. 8. Unpleasant Conditions Or Situations - The fact is, negativity increases click-throughs and response. When a person finds themselves in a negative situation, they automatically respond with greater urgency. Even the reminder of a negative situation can kick the brain into urgent mode. This principle is a parallel to the pain principle, which many conversion optimizers overlook. Anything unpleasant or negative about a marketing pitch is seen as a source of friction. In reality, however, it’s the negative feel or painful situation that creates urgency and compels action. 9. 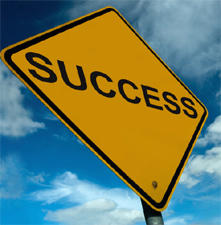 Pulling The Offer Away - One of the most effective urgency-inducers in sales is the takeaway. 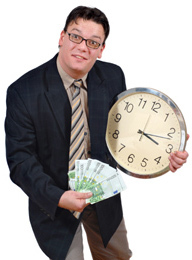 When you threaten to take an offer away, people are more likely to act in a hurry. However you choose to implement the urgency principle, you’re virtually guaranteed to see some powerful results by using it. Urgency is something that people have a hard time responding to rationally, let alone cautiously. By compelling action right away, you gain an instant psychological upper hand. 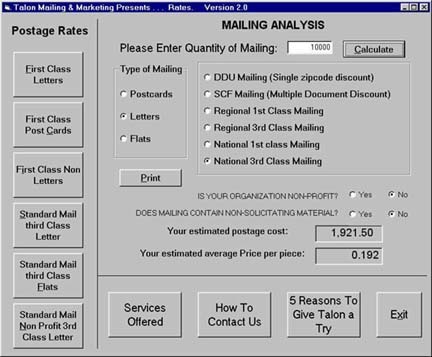 Direct mail as an effective medium has been declared dead more times than Brett Favre has retired from football. Postcards yield formidable results, even in the digital age. At first glance, the postcard campaign looks like one of the most basic forms of marketing. You just print them up and send them out. But when done effectively, there's nothing simple about it. Postcards can yield formidable results, even in the digital age. Direct mail's average response rate is 4.4 percent, compared with email's rate of 0.12 percent, according to the Direct Marketing Association. But it's best not to think of postcards strictly as “traditional" marketing. An effective campaign links the mail to your online efforts. “Overall, the postcard becomes the conversation starter, and driving them to the web is where the audience converts, signs up, becomes a fan, joins an email list," said John Garcia, managing partner for Baldrica Advertising and Marketing in West Palm Beach, Fla. Here's some advice to keep in mind as you prepare to share your message with the world via postcard. 1. Make the right impression. A piece of direct mail gets only the briefest instant to connect with a potential customer. Consider splurging on an oversized card or on thicker or textured paper, especially if prestige or sophistication are part of your brand. “If someone is flipping through the mail and it looks like an inexpensive print piece or it's not different and vibrant, the postcard might end up in the trash," said Samantha Owens Pyle, owner and chief strategist of Green Apple Strategy, a Nashville, Tenn.-based marketing and branding firm. A postcard doesn't let you tell people what your brand is all about. It just allows a start. Choose an image for your postcard that is eye-catching but relevant, advised Rob "Spider" Graham, CEO of Trainingcraft, a provider of digital advertising, marketing and sales consulting and training solutions. And select your fonts wisely — no Comic Sans if you're targeting bankers, for example. “There's not much real estate on a postcard, so the idea is to start telling an engaging story on the card and continue it online," Graham said. Pyle suggested keeping the look of your postcards consistent with that of your other ads. 3. Give people something to do. This is where old meets new to form “tradigital" marketing. Your call to action might be a landing-page URL, a Twitter hashtag, or a QR code. Your audience might end up with a discount, a giveaway, or more information about your product. Garcia advised having one “direct response offer," such as a coupon or discount, on the postcard itself, along with two or three offers available only at the website. The real secret — and challenge — of postcards is knowing where to send them. Savvy marketers know who their audience is, and they realize it's usually not just one group. For example, a clothing retailer might cater to both men and women. Fortunately, it's become easier to customize your printing so you don't need to send the same postcard to everyone. You can even segment your landing pages. “It's about the quality of the list," Pyle said. “I'd rather you reach out to 500 targeted people than 5,000 en masse." 5. Think function, not just form. When you bring in your mail, the address side faces up. The main text on a postcard is on the other side, where it risks never being seen. It's an easily solved problem. Graham said: “Putting some of your messaging on the side where the address goes is incredibly important." alexa.com - Amazing site that provides free analytical insights to benchmark, compare and optimize businesses on the web. followerfrenzy.com - The most effective yet simplest tool to build your social presence on Twitter. notey.com - Explore the best of the blogosphere. Find the best blogs on travel, weddings and over 500,000 topics. omaze.com - Omaze offers once-in-a-lifetime experiences that also support social missions. trailergods.co - Never miss a movie trailer again. gawker.com - Your one-stop guide to media and pop culture. It is the place you come to learn the real story—the account you won’t (or can’t) find anywhere else.